One of the hesitations I had about learning to scuba dive was whether I would ever be brave enough to face waters where there was even a remote possibility of coming face to gill with a shark. 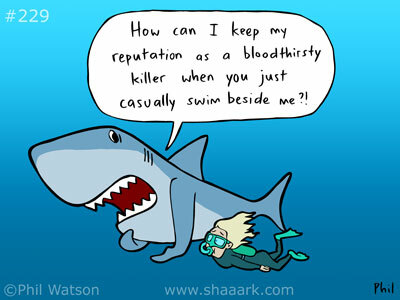 Over the past month or so I have browsed forums, read articles and researched shark behaviour to quell some of the irrational fears that many of us naturally have about the misunderstood shark. I have summarised some of the common myths below and provided some links for further reading. 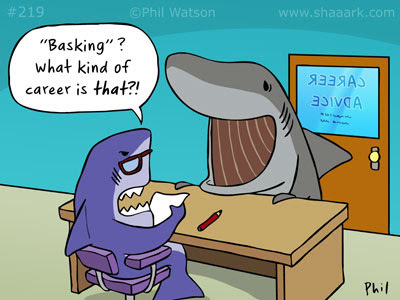 I have peppered this blog post with cartoons from Phil Watson’s website: www.shaaark.com, I thoroughly recommend you check out his website! 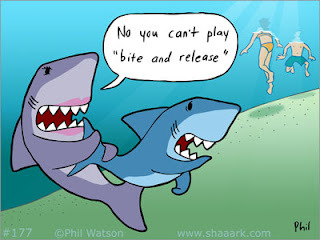 Out of all shark attack cases, many will only be “bites” rather than missing limbs or total consumption! 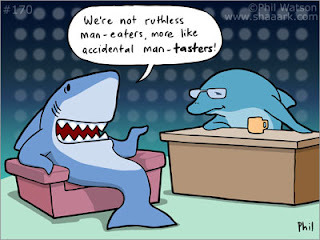 Effectively these “bite only” cases are “hit and runs” where it’s a case of shark curiosity or mistaken identity. Sharks do not have hands, so the way they investigate something is to put it in their mouth. Much like the way seals are known to bite on divers’ fins. One theory suggests that sharks will bite their prey to make sure it is edible before eating it. 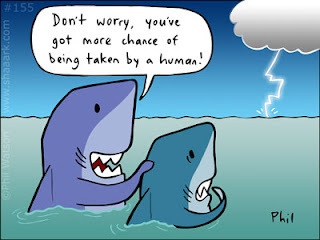 Once the shark has realised it’s mistake and that we are not actually food, they tend to release and swim away to find their natural food source. The bottom line is, we’re just not that tasty to a shark. The outcome of unprovoked shark attacks on divers supports this as the majority (over 80%) of shark attacks on divers are not fatal. Even then, fatal attacks are usually the result of significant blood loss and stress. When below the surface humans do not look like shark food, add on some long fins, a tank and the noisy bubbles and sharks can actually be quite wary of divers. Many divers consider it a privilege to actually have a close encounter with a shark. 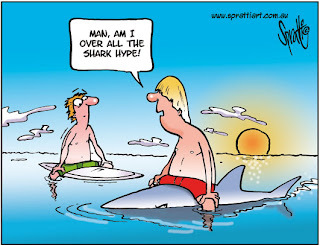 The International Shark Attack File (ISAF) has recorded unprovoked shark attacks on divers, their most recently published article shows that between 2000 and 2009 there were only 34 attacks, and only 10% of those were fatal. Of the 400 or so species of sharks, only around 20 species are large enough to pose any threat to humans and out of those, only a few sharks are aggressive enough to attack humans. Many sharks are timid and the only chance you will have to get up close will be to remain calm and still in the water. Bull sharks are considered the most aggressive towards humans and inhabit both saltwater and freshwater around the world. They tend to swim in shallow, warm waters and generally attack humans out of curiosity. The Great White Shark, possibly the most notorious, are about 20 feet in length and weigh in at 5,000 pounds. They are the biggest sharks in the world and curious hunters, which owing to their size can provide fatal bites for humans. 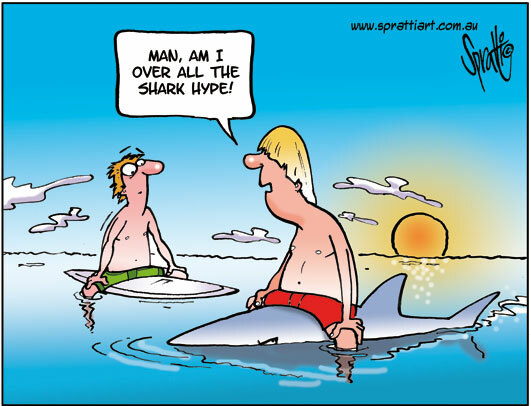 They are responsible for the highest number of unprovoked shark attacks, of which there have been 194. Only 69 of these have proved fatal. Tiger sharks inhabit tropical and temperate waters around Pacific islands. They are covered by dark stripes and generally hunt at night. Gray reef sharks and hammerhead sharks are also over 8 feet in length, however the number of unprovoked attacks inflicted by these sharks is shockingly low. Out of all shark species, I have a desire to see the whale shark up close. 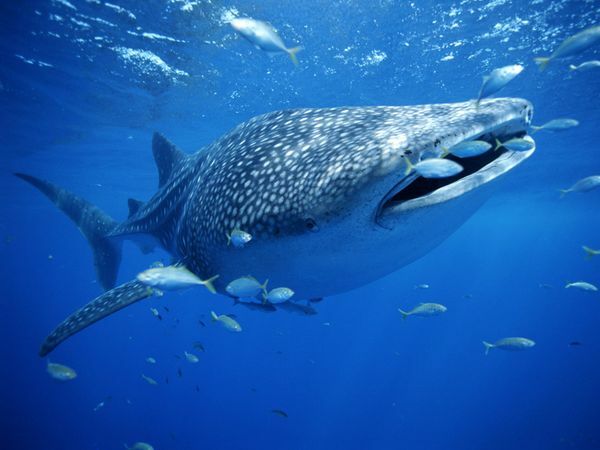 The whale shark is the largest living fish and is a gentle giant of the sea. It is a slow moving and harmless filter feed (similar to the basking shark). What’s not to love?! Conclusion: Understand, respect and admire the shark!